Whether you are looking to convert to digital or stay with film we can assist you. Advanced Medical X-Ray provides complete solutions and stay by you every step of the way at an affordable price. We provide sales, service, and training on any new system we install. 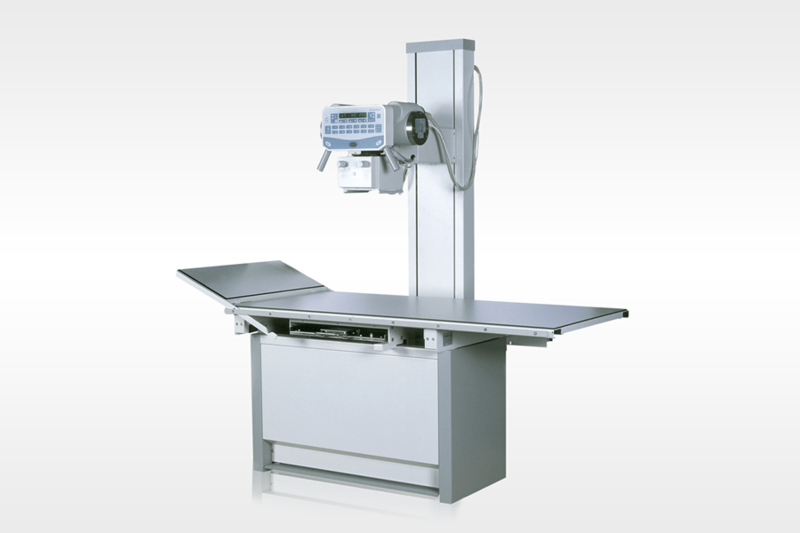 We can convert your existing X-ray machine to digital or install a complete system entirely. We offer software customized specifically for veterinary use. We strive to make our customers happy and provide them with the best service possible. Please feel free to call us if you have any questions. We are here to work with you to provide the best solutions for your X-ray needs. Below is an example X-ray room for a veterinarian that we offer. 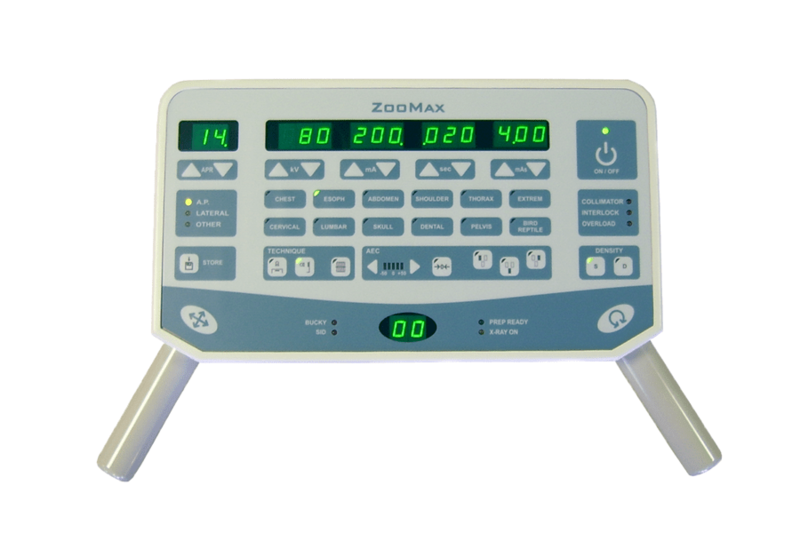 The ZooMax HF generators are easy to use with basic knowledge of radiology thanks to preprogrammed APR. Just select one of the the 12 APR settings, adjust the thickness and then the generator automatically corrects the exposure parameters. All controls are located in the work area, which provides convenient ability to position the patient, adjust parameters and take exposures at one location. Sophisticated, self-diagnostic capability and displayed error messages allow for quick troubleshooting. The system incorporates a fixed SID (FFD) tubestand with a four way radiographic table. The built in CCD detector is already aligned to the x-ray source requiring no adjustments. 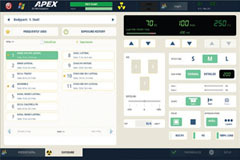 X-ray images will automatically appear on an LCD monitor. The tabletop release switch is controlled by a convenient foot pedal, which allows for “hands free” operation. Tabletop side rails provide durable anchors for restraining and subduing of the patient during the procedure. Optional tabletop extensions of 30 cm (12″) provide additional working area even if larger animals are examined.